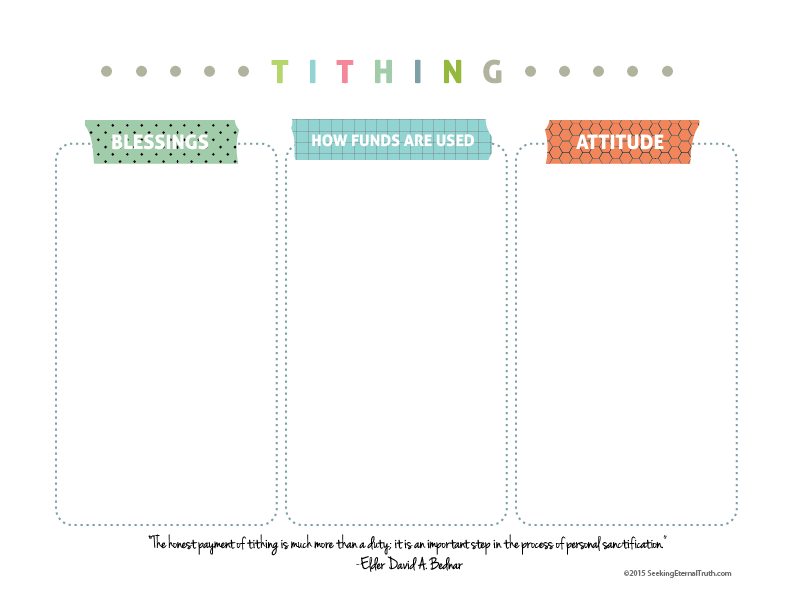 We believe in donating 10% of our earnings to help building the kingdom of God through tithing. Some believe it a lot to give but I wholeheartedly believe that the gifts, growth and sweet blessing from willing donations are REAL. The blessings far outweigh what could be had in worldly goods. I have personally witnessed the guidance, appreciation for what we do have and personal growth we have experienced in our little home and I link it to our diligence to contribute 10% of our earnings to tithing. For me, it really is more than the money, or simply because we are commanded, it is the character we are chiseling out as we live laws that help us become more like Heavenly Father. If we can be free of any attachment to the things of this world, even to MONEY, it has no dominion over us and we are FREE! WE have dominion over it! We are given the power and wisdom to manage it optimally and share it freely! As we do so we open the windows of Heavens even wider to receive more and more power to give more. It is a beautiful and replenishing thing.